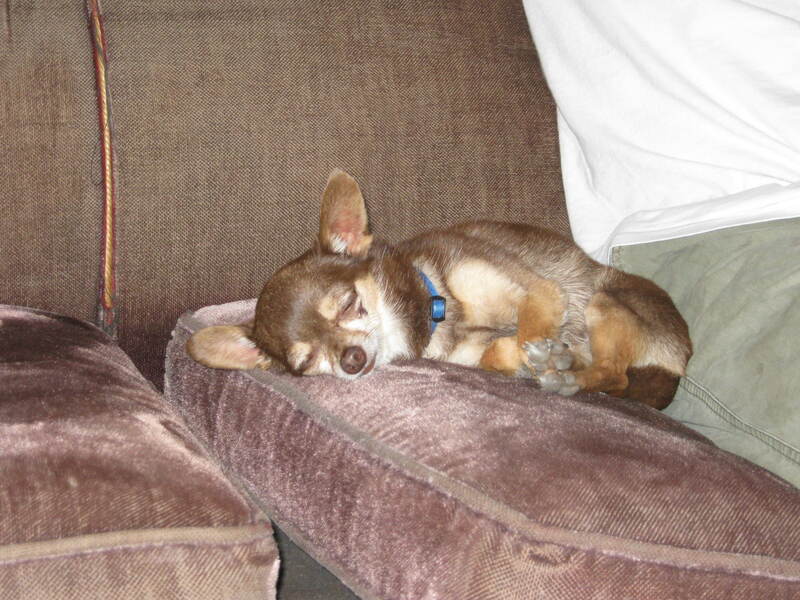 I’m really not a morning person, err dog. I don’t tend to get up before 10:00am if I can help it, and then it’s really only to eat my morning breakfast before retreating back to my warm blanket for my first of many naps. Really what it boils down to is, I like to sleep. Sleep comes in a very close second to my love for creating culinary masterpieces for my friends and family. So even though I would have preferred staring at the insides of my eyelids this morning, I arose from my slumber at the ungodly hour of 9:00 in order to make breakfast for my beloved papa. He brings home the bacon, and I cook it… so to speak. No pork products were on the menu this particular morning, though. French Toast was the main course du jour. 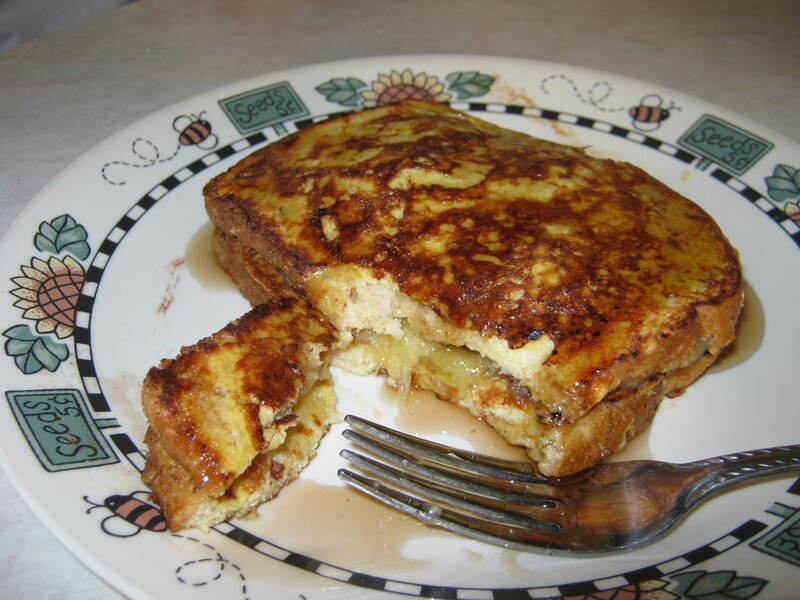 Carmelized Banana French Toast, to be exact. Don’t let the name fool you. It’s really not as complicated as it sounds, but tastes absolutely gourmet. At least that’s what I could tell based on the grunts and moans of happiness coming from mi papa as he ate his breakfast. 1) Mix egg, egg white, milk and vanilla in a shallow bowl. 2) Heat a large skillet over medium high. 3) Dip bread slices in egg mixture, soaking thoroughly. 4) Place on skillet along with banana slices. 5) When browned, flip over to the other side and allow to cook through. 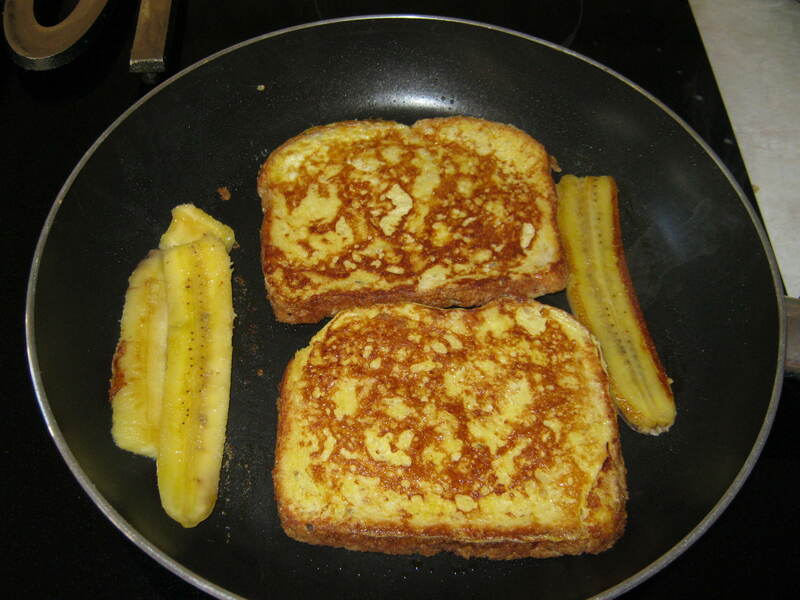 6) Place one slice of bread on plate, top with banana slices and cinnamon, and cover with second slice of bread. 7) Top with maple syrup, peanut butter, honey, chopped nuts etc. and prepare to have your mind and taste buds blown away. It’s now way past my third naptime. and I really need my beauty sleep.